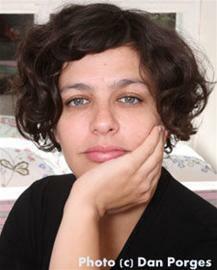 Shira Geffen was born in Tel Aviv in 1971. A playwright, director, children's author and actress, she studied at the Nissan Nativ Drama Studio and has performed at the Habima National Theater as well as at the Cameri and Khan Theaters. 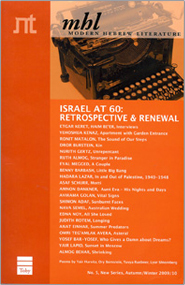 Geffen was awarded First Prize at the Haifa Children's Theater Festival in 1998 and the Hadassah Prize in 2003. In 2007, Geffen and Etgar Keret won the Cannes Film Festival's Camera d'Or Award for Jellyfish, for which she wrote the screenplay. The French Artists' and Writers' Guild also gave Geffen and Keret its Best Director Award (2007).